FFC is proud and excited to announce that in the new year, we will be partnering with the United Nations to promote their Sustainable Development Goals - the “blueprint to achieve a better and more sustainable future for all” ! These 17 interconnected goals have been articulated to address global challenges that face us all and to inspire urgency by setting targets and goals that we want to reach by the year 2030. 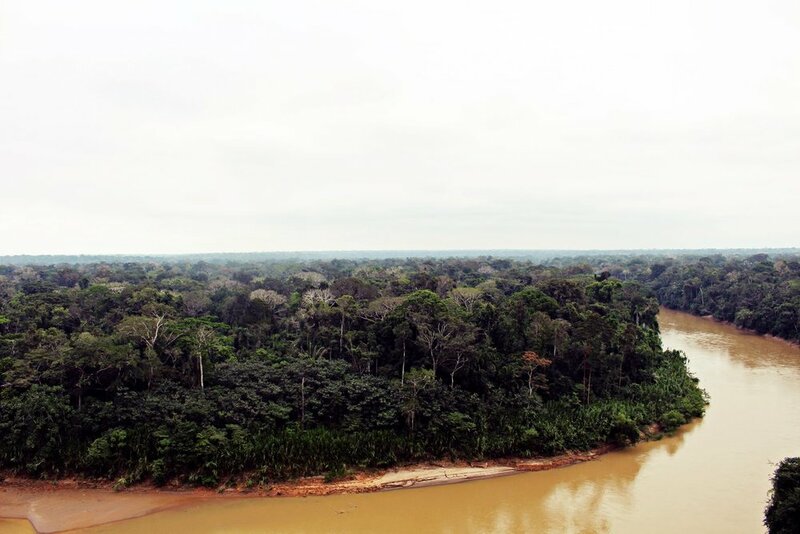 Our team at FFC calls on you to join us in the UN’s initiative for all of us, regardless of where we come from, to promote world prosperity while protecting our beautiful planet. As individuals, it might not seem like we have much power in such a big world, plagued with even bigger problems! We want to assure you that the reality is: we all have a part to play in the solutions that will make our world a better place for everybody. Check out the UN’s super helpful (and relatable!) “Lazy Person’s Guide to Saving the World” and learn about the things you can start on today to do your part in supporting the Sustainable Development Goals and help save the planet and all the amazing people in it. FFC will be right alongside you and countless others all over the world who are taking initiative with the goals in the UN’s Sustainable Development campaign. In the coming weeks/months, we will be highlighting each individual goal in the UN campaign- getting us all to think about ways that we can act and consume responsibly and consciously in our everyday lives. It won’t be easy, but can we all agree that this world is worth it? Let’s get to it! Currently, 11% of the world’s population live in extreme poverty and are struggling to access basic necessities. These people are living on less than $1.90 per day. If the world doesn’t take action by 2030, 167 million children will live in extreme poverty. Poverty has many dimensions and while it may not affect those of us who are living comfortable lives, we have an obligation as human beings to help one another. With all of our combined efforts, we can take a step together towards eliminating poverty. Absolutely. Economist Jeffrey Sachs calculated that to end extreme poverty worldwide in 20 years, it would cost $175 billion per year. This is less than one percent of the combined incomes of the richest countries in the world. Although poverty is such a big global problem that seems impossible for us individuals to address, we all play a role in helping one another. As individuals, we can use our voices and votes to make a difference! Your active engagement in policy making can make a difference in addressing poverty. Voicing out, sharing your knowledge, and spreading awareness is crucial, but you can also support transformational change in people’s lives and communities with the power of your dollar as a consumer. As fellow lovers of fashion, FFC wants to remind you of ways that we have a responsibility to the planet and all its people to consume not just eco-consciously, but just as importantly—ethically. This means shopping brands that engage in ethical trade, use sustainably-sourced materials, and pay fair wages to workers who labor in safe environments. In other words: do your research before buying and ensure that you are not feeding into systems that not only degrade the environment, but adversely affect the quality of living for people around the world. Need some ideas? 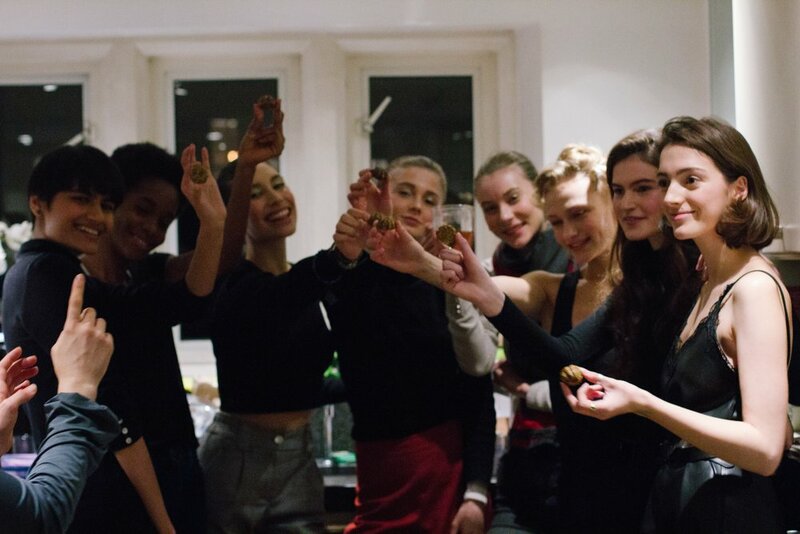 Check out this article at The Borgen Project to learn about 5 companies in the fashion industry whose work goes toward addressing issues of poverty in the world. Check out these brands that support fair trade! We have some suggestions for you! 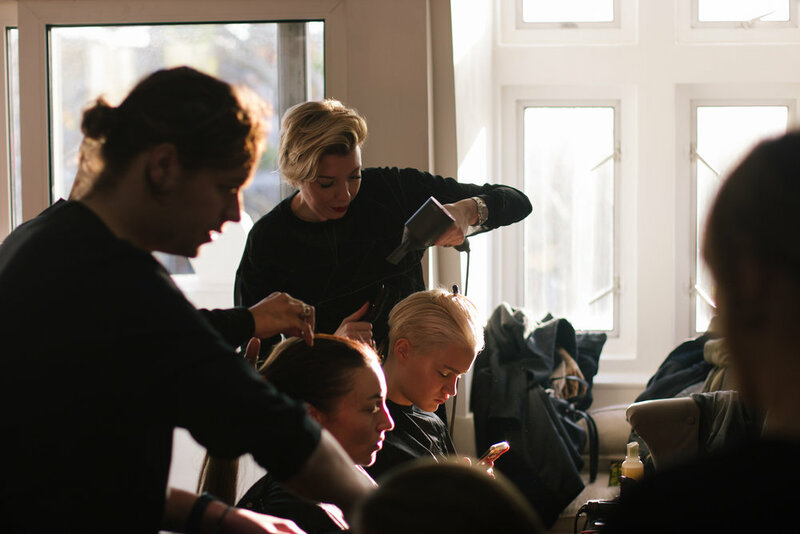 We know it takes time to research new brands, so we want to make your lives a little bit easier! The brands below support ethical and fair trade as well as sustainably-sourced materials. Choosing ethical fashion brands is a great way that we as consumers can make small steps toward ending huge issues like world poverty. Happy shopping! Thanks to the support from guests and partners, the Whitley Fund for Nature (WFN) raised one million for conservation, November 14th 2018. 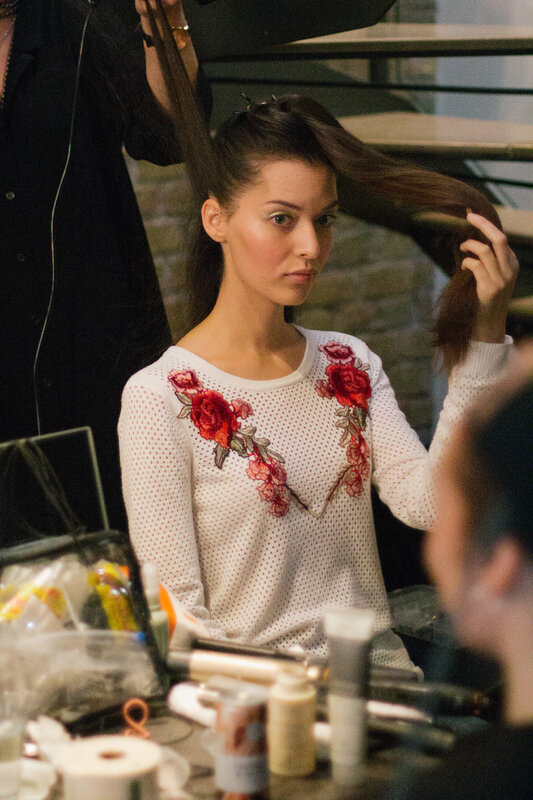 Each look was specially curated in collaboration with AVEDA UK for hair and Attracta Beauty using WELEDA for makeup. 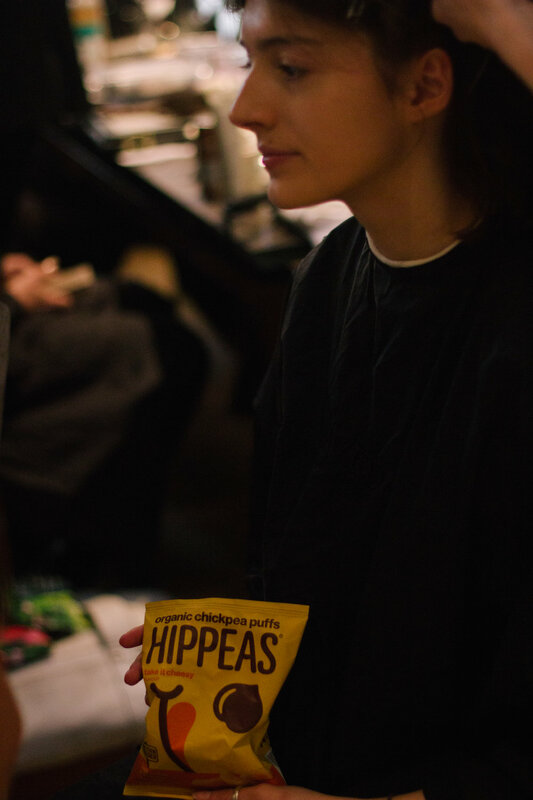 As models and backstage team got ready, treats were provided by BEEBS Energy, Esthechoc, Candy Kittens, Conscious Chocolates, Hippie Peas, Emily’s Crisps and Remedy Teas. Upon arrival to the iconic London Natural History Museum venue, guests were greeted with champaign before being escorted through the ambient lit “fossil room” where thematic soundtrack by music artist and Fashion for Conservation ambassador, Elle and producer Dan Vinci..
Awaiting at each guests’ table were artisan gifts made in communities local to conservation leaders supported by the Whitley Fund for Nature. FFC tables were also provided slow-beauty gifts from Cohorted and Weleda. WFN trustee David Attenborough and Kate Humble hosted a keynote address and later a dialogue on the critical importance and urgency of grassroots conservation along side WFN. Deborah Milner opened with a dramatic deep dive into the underworld with her collection inspred by the very coral reefs in the Natural History Museum itself. Mother of Pearl followed, proving that basics can be both beautifully designed and sustainable. Select pieces were curated specifically for the evening’s auction. Ava J Holmes and Elle L first met with Whitley Fund for Nature back in January. 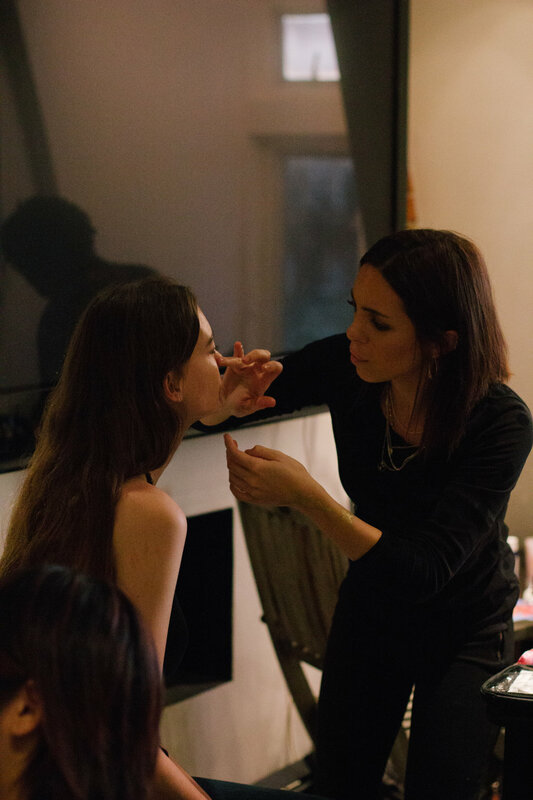 In February they announced their collaboration and partnership at a special media event hosted by Elle L at Dr Rita Rakus' in Knightsbridge with key notes from the United Nations. Since then, it has been a process of determining which designers are leading the UK movement on sustainability. Months of preparation came to life this month. 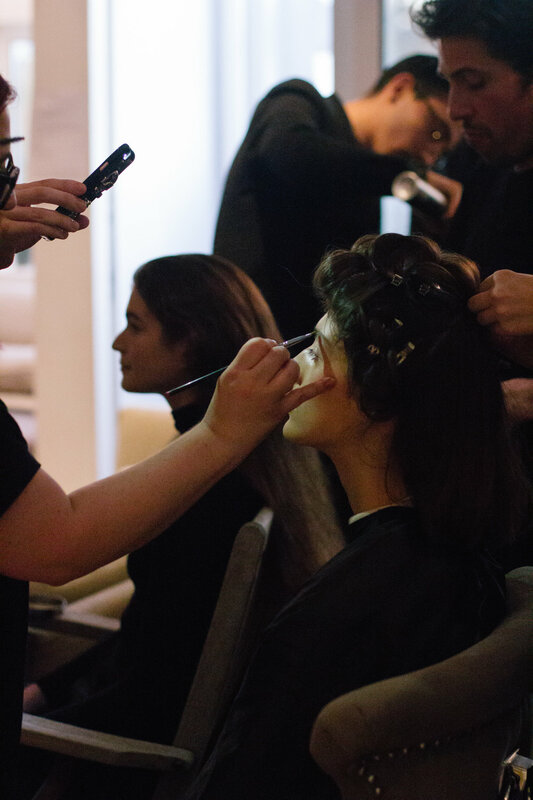 Ten months forward from the concept for the sustainable runway show to feature at this year's Hope Gala at Natural History Museum, models gathered in a nearby Knightsbridge penthouse. Mother of Pearl and Deborah Milner were the two designers Elle and Ava felt truly represented sustainable couture with thanks to the consult of Karen Malacarne of British Fashion Council... Amy Powney of Mother of Pearl has gone the extra mile to ensure the lowest carbon footprint from conception to creation, using only organic fibres and challenging the notion of sustainability way beyond just fashion. 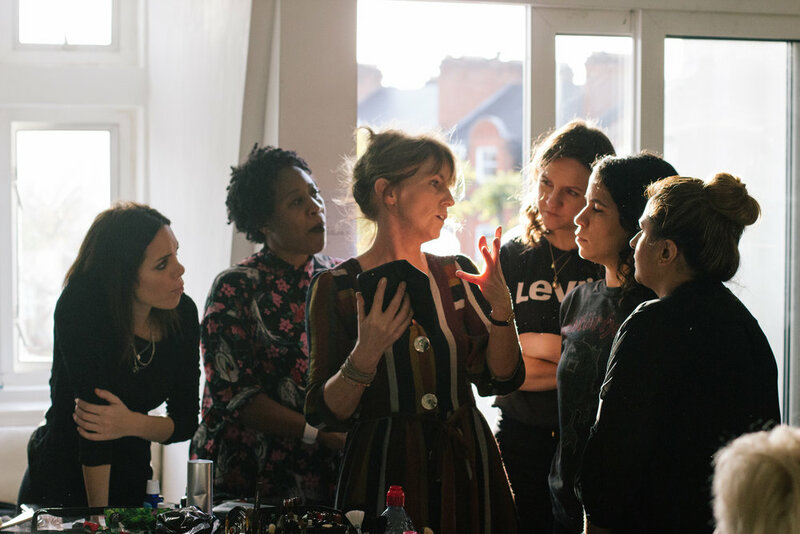 Deborah Milner has been an advocate of eco-couture since the noughties, with a rich history as head of couture studio for Alexander McQueen and special projects with Aveda. Deborah's designs were originally conceived in the Natural History Museum, drawing her 'Regenerating the Reef' concept from sketches of corals. In the true cyclical nature of creation, Deborah got to showcase her collection at the very place it had first been envisioned in front of an audience of 350 heads of fashion industry including Venetia Scott and top environmentalists, including Leonardo DiCaprio Foundation. The efforts of the Hope Gala realised the goal of raising £1m for grassroots conservation going to support the work of Whitley Award Winners. To celebrate this year’s Whitley Fund for Nature’s [WFN] Hope Gala at Natural History Museum, Elle L and Fashion for Conservation [FFC] hosted an exclusive after party with Embargo at Mayfair’s The Cuckoo Club in Mayfair. As guests entered their hands were painted with an eco-glitter gold ‘X’ to mark the message: ‘no to extinction’. Designs from FFC’s featured designers, Mother of Pearl and Deborah Milner were showcased to guests. 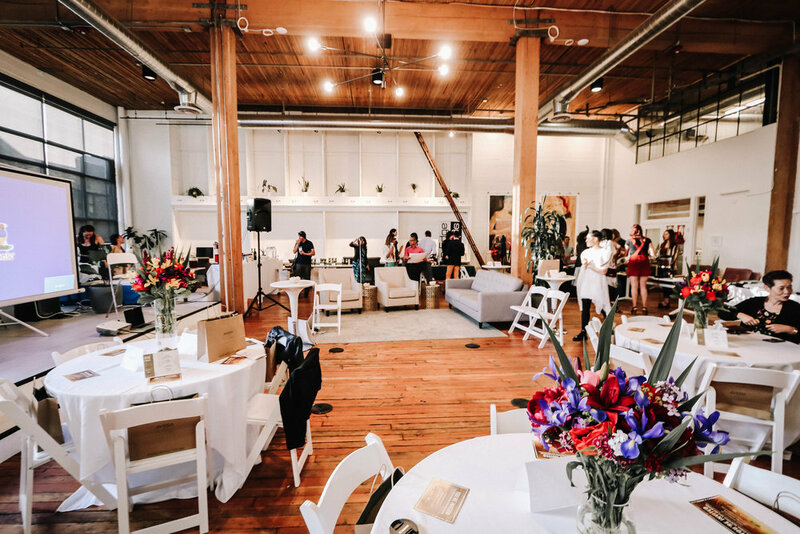 Keynotes were given from Georgina Domburger, director of WFN, co-founders Ava Holmes, Samantha Zwicker and music artist Elle L for Fashion for Conservation. Their joint vision was to advocate the power of each individual to support the greater environment and sustainability. It was announced that the goal of raising £1m for grassroots had been achieved through the partnership and special gala dinner at Natural History Museum. 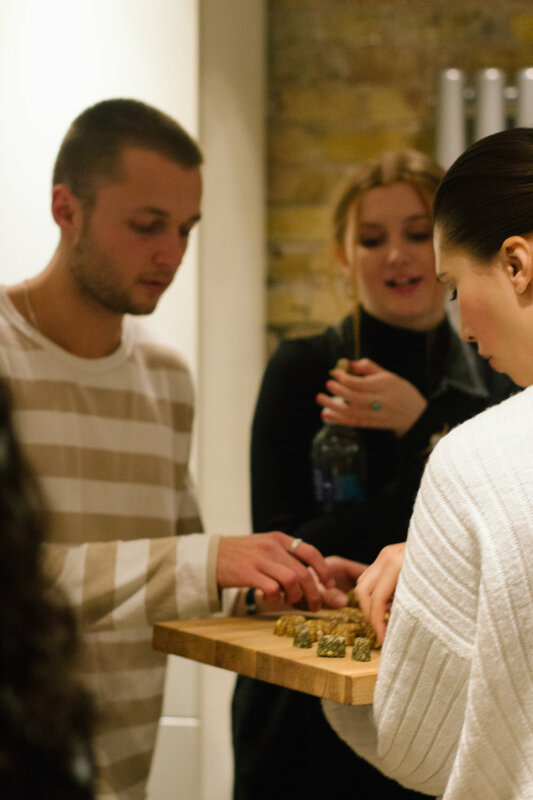 Delicious canapés were created by Arnaud Stevens, Plate London and drinks were designed by Campari Group, ‘Hope’ a twist on Aperol Spritz and ‘Mother Earth’ and Ondina Gin and No.1 Botanicals were served. 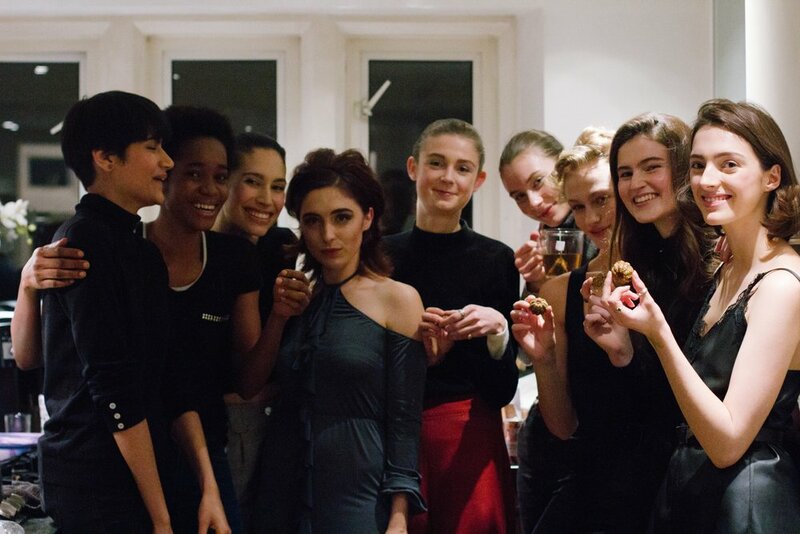 Guests included Whitley Award Winners, Leonardo DiCaprio Foundation, Laura Pradelska, Lara Fraser, Roxy Horner, Louisa Connelly and new music previews were dropped by Elle L with producer, Dan Vinci. 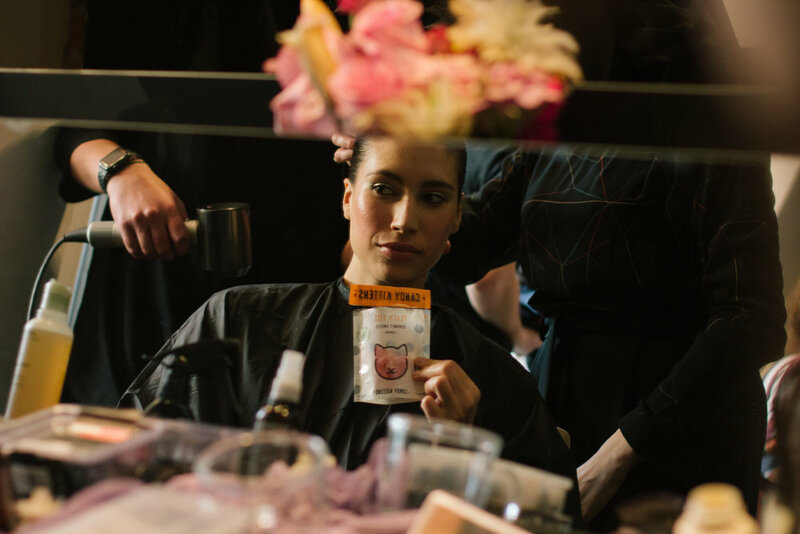 Samples of Esthechoc, Vegan Crooked Beverages, The Lost Explorer and a slow-sustainable beauty edit from Cohorted was gifted to each guest in No.1 Botanicals seed bags to become wildflower’s when put back into the ground. What would the world be like if every brand chose to support an important cause? At Fashion for Conservation we are dedicated to creating a world where every purchase helps better our planet whether directly funding ecosystem conservation or supporting communities in living in better harmony with nature, and with each other. With KLEED joining the movement, we are one step closer to this future of fashion. Spring/Summer 2018 KLEED Kimonos "Mombasa Collection' collection unveils a thought provoking collection, which pays tribute to the proud Massai tribe, with vibrant prints, life-blood reds and the bold terracotta colours of Kenya. The warm, terracotta reds and charcoal browns at the heart of this collection resemble the rolling plains and fiery colours of the Kenyan hills. A new line of ikat kaftans – metal grey and ivory cream – then take us to the sun-kissed beaches and endless vistas of the Indian Ocean. The KLEED KIMONOS brand was founded in 2016, the brainchild of Carolina Guedes Cruz, a dynamic Portuguese entrepreneur, with two ruling passions in her life: fashion and wildlife conservation in Africa. For Carolina whose professional experience includes working with renowned luxury brands such as Gucci and Alfred Dunhill, Fashion is an art form that draws inspiration from different cultures; yet its language is universal, and its messages resoundingly clear. Over fifteen years of volunteer service in conservation projects in Africa, working with several species from elephants to rhinos, convinced Carolina that her contribution to wildlife conservation should combine the two worlds - international fashion and the preservation of African wildlife. Since then, KLEED has become a worldwide brand advocate for the conservation of wildlife in Africa. Carolina believes that KLEED has a pivotal role to play, in the international fashion community, for wildlife conservation and the sustainability of our planet. Every collection reflects the essence of Africa – in themes, colours, or materials and in each one KLEED raises awareness for the huge challenges facing African wildlife today. Although conservation efforts are finally paying off, Rhino poaching is an extremely aggressive business, with professional gangs operating in several countries and fueling Asian-led demand. KLEED’s support of Imire's project is two-fold: raising awareness of the rhino conservation projects and contributing with donations of KLEED’s turnover to Imire Safari Ranch. The monetary support is used directly towards funding the Rhino Conservation efforts on the ground, with equipment, medical support and helping to cover food expenses and transport costs. KLEED is a young brand, with a stellar ambition - to become 100% sustainable. KLEED is already committed to ethical conditions with pieces designed and handcrafted by empowered women. Fashion for Conservation welcomes KLEED to the global movement and family. 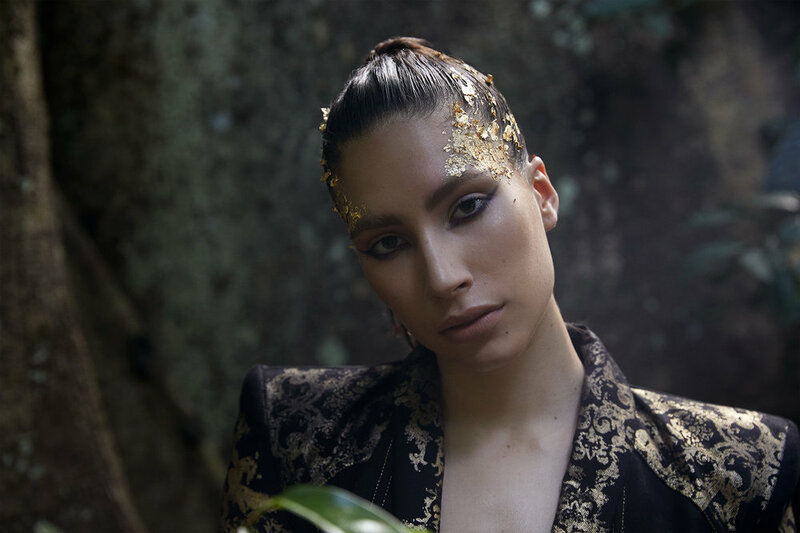 Caroline and her team will be exhibiting in upcoming FFC events including a capsule collection inspired by the rainforests of Africa for FFC's current campaign #RAINFORESTRUNWAY at fashion week & the Annual Rainforest Gala & Runway. Follow @FashionforConservation @kleedkimonos for more from this shoot and others.